Established in 1984, the Peter and Ginny Ueberroth Family Foundation has been giving back to the community for three decades. The foundation is committed to assisting community-based organizations that are effectively making a difference. We believe that by assisting people to take greater responsibility for their own well-being and for the communities in which they live, we can create a better future. The foundation supports local organizations, with a focus on youth programs, education, health and human services. We believe in personal involvement with the organizations that we support, therefore the majority of the funding takes place in Orange County or within the communities where directors live. Fiscal year 2013 saw grants in excess of $2,500,000 assisting over 75 non-profit agencies. Peter and Ginny have always understood the importance of giving back. 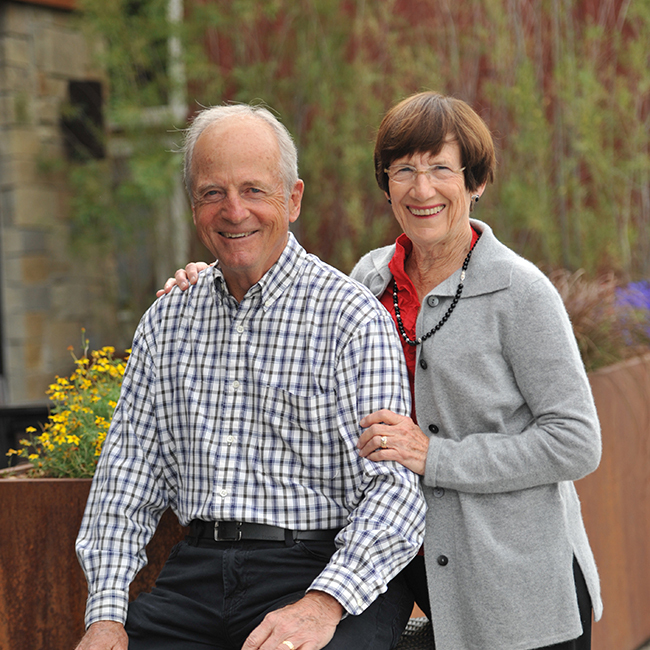 In their 55 years of marriage they have shown their gratitude for the community and their commitment to service through volunteerism, leadership and sharing of their resources. The over $20 million granted by the Ueberroth Family Foundation in its 30 year history has helped families to get back on their feet, assisted low-income students with educational opportunities, and helped provide access to food, shelter and health care for people in need. Copyright © 2018 Peter & Ginny Ueberroth Family Foundation All rights reserved.